Die Hard in a car, with laughs. Welcome to #TRAILERCHEST, where we're taking a look at the brand new trailer for Stuber. It's a sad day for wrestling fans as 'The Animal' Batista has hung up his ring boots following an epic brawl with Triple H at WrestleMania 35. He may not have seen his hand raised on Sunday night at Mania, but Dave Bautista has plenty to look forward to over the rest of the year. 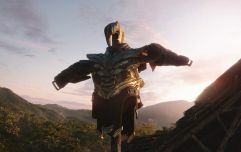 We don't know for certain if he'll get magically resurrected in the upcoming Avengers: Endgame, but we're leaning towards a 'yes' on that one. He's also got a bid for family-friendly box office gold in the form of My Spy, which is set for release in a few months time. But we're here to take a peek at Stuber, which looks like good action-comedy fun. Bautista steps into the shoes of a grizzled detective by the name of Vic, who is on the trial of a vicious terrorist. Enter Stu (the great Kumail Nanjiani), who drives an Uber, picks Vic up and unwittingly gets caught up in the middle of things as the two men must unite to defeat evil. Chaos ensues, with the emphasis on darkly comedic maiming and murder.